Brought up with a Southland farming background, Caine decided to seek a new venture away from the shearing & dairy sheds. The opportunity to see the world was too much to pass up so he joined the NZ Army. Eight years on, his experience as a soldier has taken him on operations in Timor-Leste 2009-2010 and Afghanistan in 2012. Upon returning from Afghanistan, Caine passed one of the most challenging courses in the army, the unit sniper course. This course has one of the lowest pass rates of all courses offered in the NZ Army. Caine’s time in the Army and abroad has taught him how to adapt to his surroundings (including a fluctuating market) and how to overcome any challenges along the way. Since leaving the Army, Harcourts has brought forward new and exciting challenges for Caine. With his determination, persistence and resilience these attributes fuel Caine to tackle these challenges. Caine is 100% committed to all of his clients and always aims to deliver the very best result. 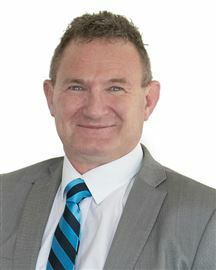 Caine looks forward to continuing to grow his presence in the Canterbury market and demonstrate why he is the agent to call when you want the job done. If you are considering buying or selling in the Christchurch or Selwyn area, make life easy, give Caine a call! 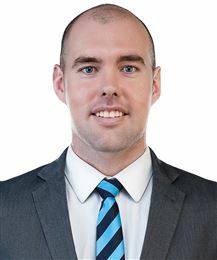 Ferg has his feet firmly planted on the ground and his straightforward, honest style quickly established him as an award winning rising star when he began his real estate career back in 2012. His love of the land had early beginnings having grown up in Southland on a sheep, beef and deer farm with piggery attached. He’s no stranger to hard work and became heavily involved in the equestrian industry, owning his first saddlery at just 18 and going on to own retail stores up until entering real estate. Now living in the heart of the Selwyn district on a 4-hectare property with his two teenage sons, there’s never a dull moment in Ferg’s busy household and he wouldn’t have it any other way. 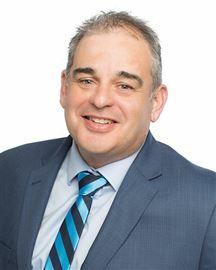 With numerous real estate industry awards under his belt he is well established as an expert in lifestyle and rural sales as well as residential properties. Ferg believes that the biggest rewards in real estate come when clients’ personal and property goals converge, and negotiations leave all parties with a taste of success whether buying or selling. He’s a good honest bloke who’s used to mucking-in, not mucking around. If you’re considering buying or selling give him a call and he’ll get you sorted. Glenis has held a passion for real estate for years and after helping her friends and family with their own homes moving to Real Estate became a natural progression. Having owned & managed a business in Canterbury for 10 years, Glenis has all the experience to handle what Real Estate throws at you. Dealing with customers daily in her business Glenis has the knowledge & skills to optimize her customers experience by putting herself in the customers shoes to identify the best solutions for their needs On the home front Glenis lives in Rolleston with her husband and has 3 sons,6 grandchildren and a gorgeous miniature schnauzer called Scully. Glenis is dedicated to achieving the best possible outcome for every one of her clients. Whether you are selling or buying call today for the quality service and commitment you deserve. Testimonial Sheryn Atkins – “Glenis assisted me with the purchase of my home in Rolleston. I have found her professional, helpful and very responsive in liaising between the vendor and myself to achieve exactly what I needed, and no doubt met the vendors needs as well. It was so easy to work with Glenis, and I highly recommend her as your real estate agent”. 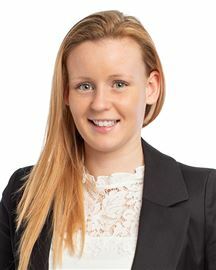 Katie Harrison is excited and proud to be a member of the Harcourts Four Season team in Rolleston. She shares the Harcourts vision of creating clients for life by delivering an exceptional level of service to meet your Real Estate requirements. Originally from a farming background in Otago, Katie gained a Bachelor of Commerce Degree and enjoyed 8 years in the banking sector in New Zealand, Canada and the UK. Business interests, and her desire to raise her family back in New Zealand saw her choose to make her home on a lifestyle block in West Melton for 14 years, and more laterally the wonderful community of Rolleston. Katie has been enthusiastically involved in the Selwyn community and feels privileged to have had the excellent choices of childcare, schooling and sporting opportunities that the West Melton, and more recently the Rolleston communities have to offer. 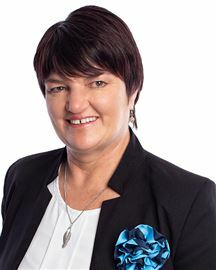 In addition to her community and sporting involvement Katie’s business interests have included managing investment properties, business interest in a medium sized food manufacturing business and a personal highlight as been the establishment and acting as a Trustee for the Canterbury Earthquake Children’s Trust. Katie is a high energy, enthusiastic individual who places utmost importance on personal and professional integrity. Her experiences gained have enabled her to relate to a wide variety of people and further develop an innate ability to gain trust in those who choose to work with her. 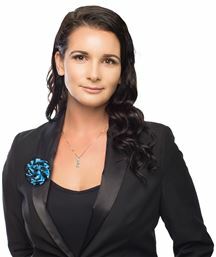 She is excited to work within the award winning Harcourts model to deliver the Real Estate results you are seeking. Give Katie a call for friendly, professional advice. The Perfect Professional Package Every Time Over two decades of being involved in the exciting world of property sales and management has bestowed Kaye with a sterling reputation within the industry and a proven track record of achieving outstanding results. During this time period, she has seen substantial change in the real estate industry, but her incredible enthusiasm, consummate professionalism and ability to stay up to the minute with current real estate trends and fluctuating markets have never wavered. 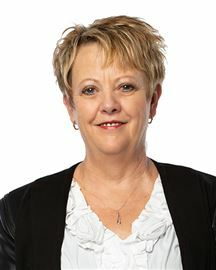 Knowing that buying or selling a home is at the top of the ladder of importance for most people and also ranks among the most stressful times in our lives, Kaye’s passion is to work with her clients, to help carry the load, make the process of buying or selling as smooth and care-free as possible, while still achieving the best possible result. 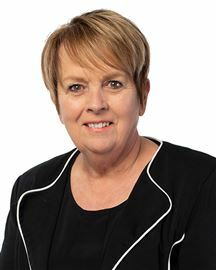 With a reputation based as much on her nurturing, friendly and warm demeanour as it is on her astute business sense, market knowledge and formidable negotiating skills, Kaye attracts an enviable level of repeat and referral business. The wealth of experience and wisdom she has gained as a wife, mother and grandmother, combined with the considerable depth of knowledge she has acquired as a smart, successful businesswoman, assures you that you are in capable and caring hands. Outside of the office, Kaye has also enjoyed a committed and fulfilling involvement in the Dog fraternity – including breeding and showing – and this has evolved into a position as an international All Breeds Judge which is invited to adjudicate right around the globe. Wanting the service you will receive to go beyond excellence? Rachael prides herself on a high-level of integrity, committed to her clients, reliable, honest and empathic. Rachael has an infectiously positive personality, friendly and approachable with a positive disposition. Rachael’s attributes combined with her sales history means she is very result-orientated and has the ability to understand her client’s needs and wants in order to find solutions for you and your family. A passion for property and people alike combine to make Real Estate the perfect industry for her. Rachael is a determined and driven businesswoman with a strong background in sales and marketing and a proven track record of achieving results. Rachael strongly believes that ethics and professionalism should underpin every relationship and undertaking in the process of buying and selling property. Having spent 20 years Sales/Management/Owner/Operator, and a history in buying and selling properties have made Rachael a strong negotiator and advocate for her clients. Aligning herself with Harcourts Four Seasons 2017 Ltd, was an easy choice, their philosophies are the same, 100% committed to providing all their clients and customers with superior service from start to finish. 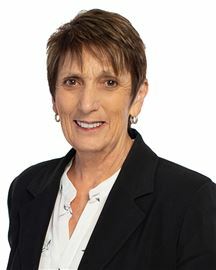 Barbara is new to the Real Estate industry and is working part time at the newly opened Rolleston office which opened in October 2009. Barbara previously worked the banking industry. She loves being part of the enthusiastic team and is enjoying the challenge of her new role. Helen has worked as a real estate office administrator since 2007. Starting with Four Seasons in the brand new office at Rolleston in 2009 has been a great experience. Helen is willing to take part in ongoing training to keep her administration and computer skills current to enable her to support her sales team and management to the highest standard and is willing to go the extra mile. She loves being part of the enthusiastic team at Rolleston. Show Home with 2 Year Lease! Ignore The Rateable Value !! Priced below the new RV! The Lovely Life Is Calling. Good Home - Great Street! Easy Living - Smart Buying! Be Quick - We've Purchased! New Build in Beaumont Park! Rental income $1139 per week! Brand New 4 beds for $499,000! Brand New 4 beds for $489,000! Purchased And Ready To Go!! Brand New, Needs to Go! Wow! No Plan B, must be sold! Builders Loss - Your Gain! Collapsed Sale - Buyer Needed! The Jewel In The Crown !! 2 Minutes' Walk to Merivale! When Size & Location Matter! Four Car garaging on Totara! Price Slashed - Under GV! 4 Bedrooms - Name your Price?? Out of Town Owner Says Sell! Vendors Need this home SOLD! All Titled and Ready To Go! 2016 Unique and Quality Built! It's Not Tiny, its Huge! Beaumont Park - New release! 5 Beds & Needs To Fly. A Good home on a great street! If You Are Ready - Go for it!